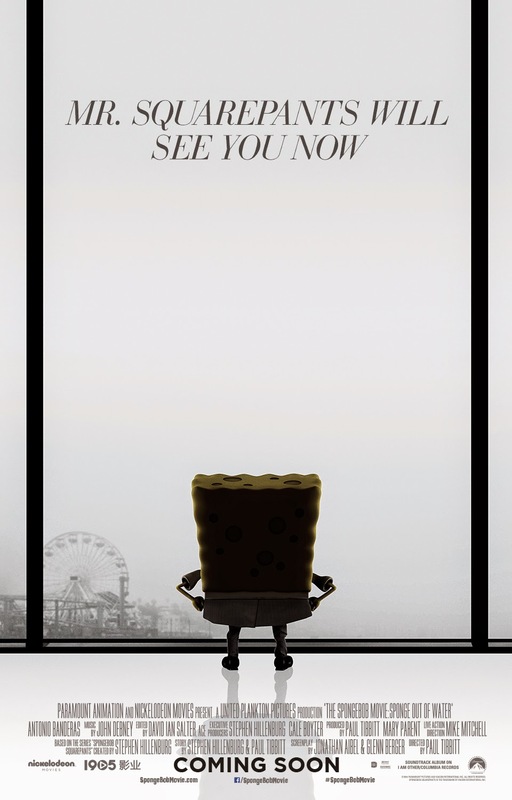 Home / Movies / Check Out 3 Spoof Posters from "SpongeBob Movie: Sponge Out of Water"
Check Out 3 Spoof Posters from "SpongeBob Movie: Sponge Out of Water"
Sponge as Christian Grey? When “SpongeBob Movie: Sponge Out of Water” hits Philippine cinemas on April 4, no blockbuster is safe, as proven by the three spoof posters the studio has released. Check out the one-sheet parodies of “Terminator Genisys,” “Jurassic World” and “Fifty Shades of Grey”! 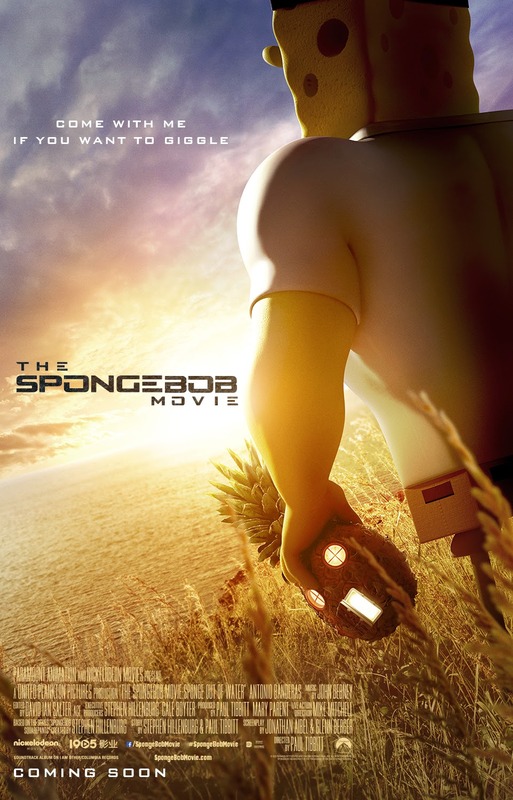 In the film, life in Bikini Bottom couldn’t be better for eternal optimist SpongeBob (Tom Kenny) and his friends: loyal starfish Patrick (Bill Fagerbakke), the sardonic Squidward (Rodger Bumpass), scientist squirrel Sandy (Carolyn Lawrence) and crustacean capitalist, Mr. Krabs (Clancy Brown). 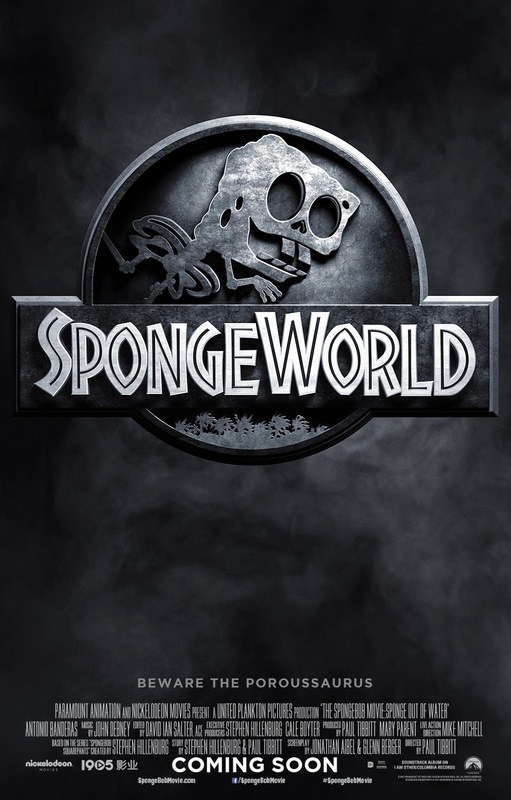 When the top secret recipe for Krabby Patties is stolen, eternal adversaries SpongeBob and Plankton (Mr. Lawrence) must join forces on a trip through time and space to harness their internal superpowers and battle fiendish pirate Burger Beard (Antonio Banderas) with his own plans for the delicious delicacies. Based on the highest rated series in Nickelodeon history and a decades-spanning international phenomenon, director Paul Tibbitt says, “It's everything you want in a movie. We've taken familiar characters and pushed them in completely new directions - it's a road movie, a superhero movie, and a post-apocalypse movie, and it's all in 3-D!" “The SpongeBob Movie: Sponge Out of Water” is directed by Paul Tibbitt, with live action direction by Mike Mitchell, executive produced by Stephen Hillenburg, Cale Boyter, Nan Morales and Craig Sost and produced by Paul Tibbitt and Mary Parent.